A lot of people have been asking us to weigh in on the Dentons merger. The newest iteration of Dentons is 160% larger and boasts an international coverage map that would put T-Mobile to shame. With its latest far-east tie-up, Dentons shot to the top of the Am Law 200 in headcount—and kept going—making it the largest global firm, with a rank of 6,500 attorneys. The merger was abruptly announced and has had the legal world scrambling for answers since its consummation, but overall, the merger is a solid plan by Dentons to build a behemoth that has perhaps the most flexibility of any international law firm. One argument against Dentons’ Dacheng tie-up has been Dacheng’s low RPL. The Economist pegged Dacheng’s RPL at $88,000 in 2013, which is roughly 17% of what Dentons’ overall RPL was this year. Still, one must remember, China’s gradual progression into a socialist market economy has created a legal vacuum with no strongly unified legal code. For this reason, lawyers are sometimes considered an afterthought by Chinese businesses and Chinese companies often seek to employ the lowest bidder. The two firms may seem incompatible on the surface, but Dentons’ verein structure gives it the flexibility to fuse with Dacheng, yet insulate itself so that it’s not crippled should China’s promises of a legal overhaul never materialize. Even if the proposed changes never materialize, Chinese foreign direct investment should provide ample work. China’s FDI is projected to rise by 10% annually for the next five years with copious investment into energy and real estate. 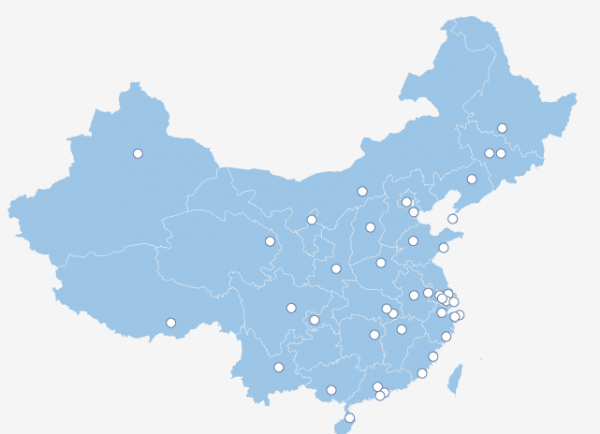 Growth in China is slowing in eastern cities and companies are growing interested in some of the smaller inner (a.k.a. Tier 2) cities. Dacheng has 42 offices in China, a good portion of them in the Tier 2 cities and is well equipped to take advantage of this new demand. With 4,000 attorneys in China, fee referrals from stateside attorneys should also pay dividends for domestic attorneys. However, questions of rate compatibility will undoubtedly arise, but should not be too difficult to solve. Dentons’ expansion sends a clear signal that they are targeting market share over profit margins. This is not a bad strategy. Profit margins are at their lowest level since 2010 for the top 100 firms and more clients are pushing for lower fees and alternative fee agreements. In ALM’s AFA report, they noted that 95% of law firms use alternative fee arrangements. 66% of firms reported that the number of AFAs increased from 2011 to 2012. Clients are increasingly trying to negotiate rate discounts, sometimes in excess of 15%, for bulk work. Questions of culture fit are redundant since Dentons has less than fifty attorneys currently in China across Beijing, Shanghai, and Hong Kong. Since the firm will operate in the verein structure, the U.S. branch will operate virtually autonomously from the Chinese branch, which should quell any culture integration issues. Dentons’ greatest gain through the merger was not any immediate material or financial windfall. Their masterstroke was preventing any other Am Law firm from growing so rapidly in the Chinese market. Dacheng was courted by many other Am Law firms, but Dentons’ loosely affiliated verein style likely played a large role in capturing the largest Chinese law firm.